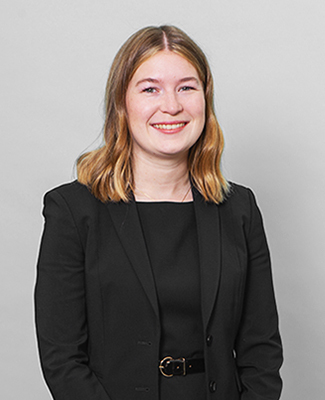 Prior to commencing pupillage, Lucy spent the summer of 2017 working as a paralegal in both the private and public family law departments at Hanne & Co Solicitors. During her legal studies, Lucy volunteered with a trade union where she represented union members at disciplinary hearings. She also volunteered with the National Centre for Domestic Violence, applying for ex parte injunctions for those suffering domestic violence. In 2016, Lucy was awarded a UCL and Santander Summer Internship Award to undertake an internship at the Legal Action Group (LAG). She assisted the Head of Publishing and is credited in the forewords to three of LAG’s publications, including the Court of Protection Handbook. Whilst at LAG, Lucy co-authored a research report into the decline of civil legal aid post-LASPO 2012 which was published in the magazine Legal Action in December 2016. Lucy studied Russian at university and spent her year abroad studying in Moscow and St Petersburg. In her free time, Lucy is a member of the National Theatre and enjoys yoga and running, having recently completed a half marathon.